I got a great deal on my bike. I took advantage of a buyer’s market in November of 2016 and happened upon the motorcycle of my desire (2015 Kawasaki Ninja 1000) with 1300 miles on it. I made an obscene offer just to create a starting bargain point and, after some discussion, they accepted it. So the big question: why would I pay $3,000 to tow this bike for which I paid little more than twice that? Believe me, I tried not to. One reason is that I’ve made quite a few mods and if I were to incur a trailering disaster I’d be hard pressed to replicate my bike in its current form. This trailer purchase was quite different than that of my Ninja 1000. I did my homework on the Ninja and knew everything I could before I test rode it but I pulled the trigger spontaneously. The trailer purchase was more like when I bought my first home. I meticulously did everything I could to prove why it wasn’t the one for me … and failed. The condo got the nod mostly due to its two-car garage affording me room for all things cycle related. The trailer I went with is the Kendon Single Ride-Up SRL Stand-Up Trailer (and no, I’m not rich). I found a dealer in Marengo, IL that not only stocks them but provides decent financing. Knowing that was an option is the only way this purchase was going to happen. I had been looking at used Kendon dual stand ups and found some that were in great shape but were mostly ten years old. I figured in another ten years they may not be in such great shape, so I bit the bullet knowing the quality of Kendon would ensure this to be the only trailer I’d need for quite some time. Why did I get a single trailer you ask? I live in Chicago and refuse to park anything larger than a car on a regular basis when I’m out socially. 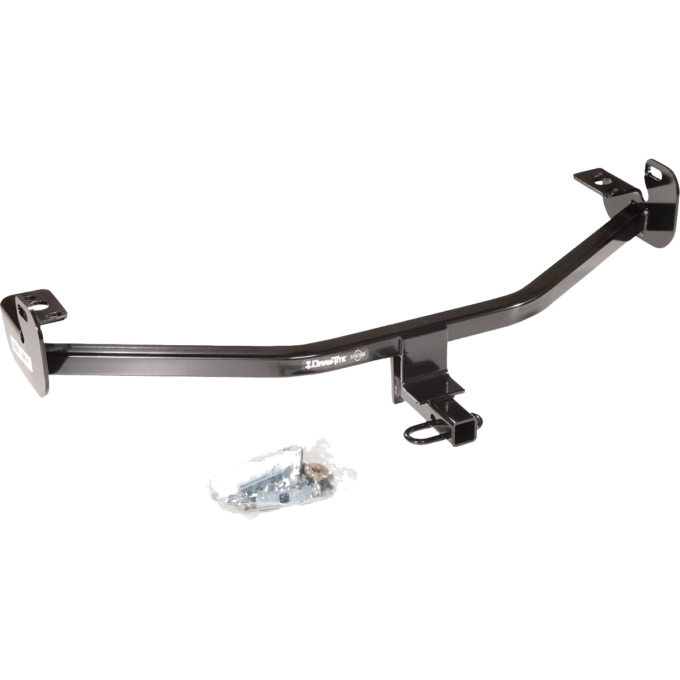 I drive a Ford Focus Hatchback and checked the forums plus did the math before finding I could install a class-1 hitch to tow 2000 lbs (with a max 200 lb tongue weight). Sidebar: Tongue weight is the maximum static weight your trailer hitch can handle of the downward force exerted on it by the trailer’s tongue. Tongue weight being the more limiting factor (plus the fact that trailering anything can void my auto warranty) persuaded me to stick with a single-rail trailer. Class-1 trailers are commonly used for bicycle racks and I plan to get a sticker that says “for bike rack only”. I hear dealers look for trailer light wiring and mine is inside the car (pretty stealthy) but if they look hard enough they’ll find it. Dual trailers, which are more prevalent on the used market, were enticing in that even if I couldn’t tow two bikes, there may be situations where I’d want to tow two bikes with another person who had a suitable car but no trailer. The extra weight of the trailer pushed me back to a single rail. 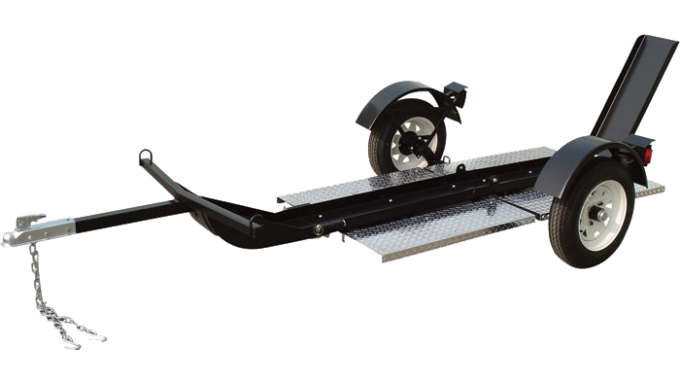 … indicated I’d be at about 150 lbs tongue weight if level so a single trailer it is. I’ll be using ratchet straps on the front/back with lighter duty straps around the rims/rails. Renting from U-Haul was my first option. A lot of the guys on the Ninja 1000 forum do this but I realized I just may trailer on a regular basis after work on Fridays in addition to long distance. I’ve ridden from Chicago to La Crosse after work on a Friday and it’s pushing it in terms of fatigue. Having to go to U-Haul before and after would throw a monkey wrench in the master plan of many three-day weekends with two full days of riding. Another problem with the U-Haul trailer is that they weigh 800 lbs = deal breaker for me. Sure, I could go cheap and buy a 4’x8′ utility trailer before installing a wheel chock but it would take up too much space in my garage. Looking hard and fast at every other trailer, my requirements kept pushing me back to Kendon. 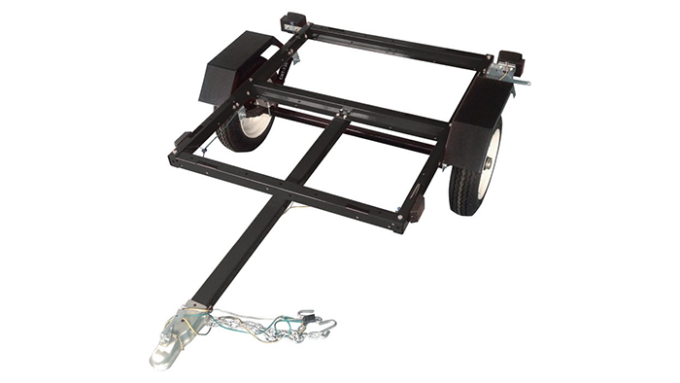 Their powder coated, tubular steel frame brings the trailer’s total weight to 350 lbs with the ramps stored on board. Stow the ramps in my vehicle and I’m down to around 300 lbs. Factor in a 500 lb bike and I’m towing only 800 lbs. That’s pretty impressive considering it does have 8-spoke chrome/steel wheels (aluminum upgrades are optional), 13″ radial tires, independent torsion suspension with double mounting brackets and diamond plate for loading traction. Many claim they can hardly tell they’re pulling anything behind them. The biggest reason I went with the Kendon (besides casters) is the fact that I can ride right onto it. I have a 29″ inseam and realized that with the amount of trailering I may do over the next fifteen years, my little penguin legs will probably fail to make the leap onto the trailer when pushing at least once. Given that replacing plastics/parts after a drop can run over $2000, that was all the rationalization I needed. Plus, I’m old and lazy and more likely to miss-step after a long day’s ride. Go ahead and watch this video and see if you agree that riding up the no-apex ramp is a safer bet. I’ve not tried this yet but if riding up the ramp onto my trailer does feel unsafe, I’d still rather walk my bike up this ramp than always have to “make the jump”. Another (huge) reason I chose this Kendon is the fact that it folds up for storage via casters on the bottom, making for easy maneuvering around obstacles in my garage. Like I said, I have a two-car garage and I do park my car inside. I have only two closets in my condo and one is full of cycle gear. Needless to say, my garage is used to store things that most people keep in their house. I currently have two bikes, three bicycles, a work bench, a motorcycle lift, tool chest and lots of shelving, so I bought a durable trailer with the smallest footprint possible. Does it get any more basic than that? It’s made in the UK and sold through a French company. 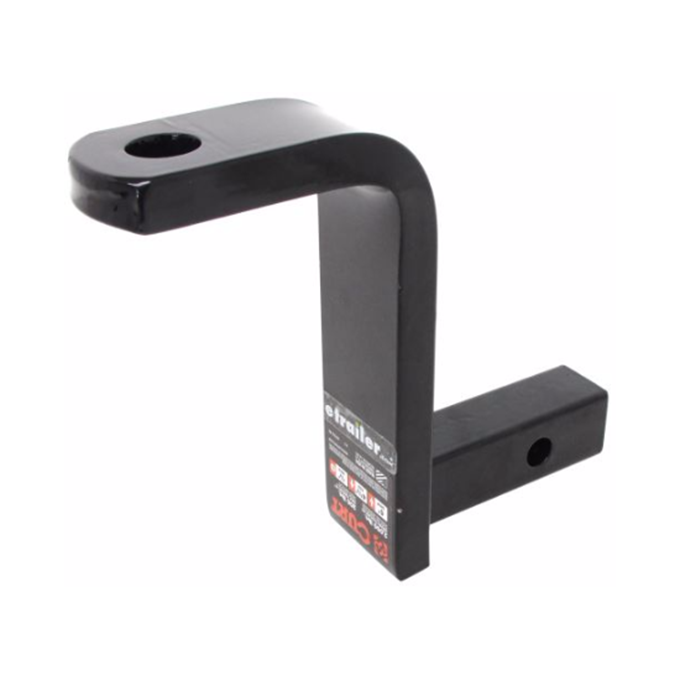 I looked into procuring one here in the USA or even custom fabricating but aborted when I realized I need a folding/standing solution and this will do neither. 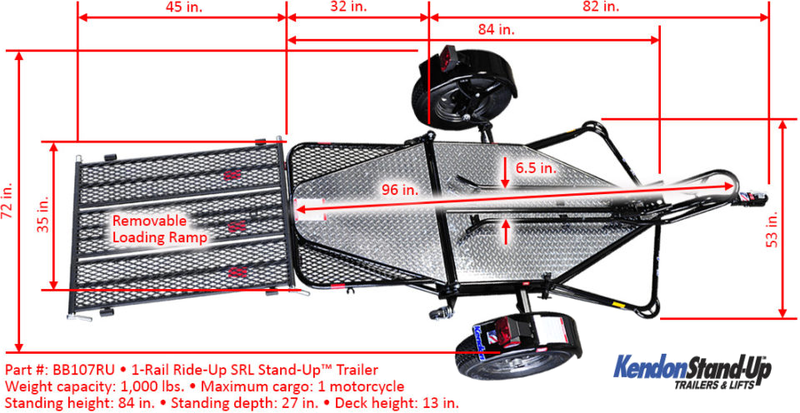 This single, ride up, stand up motorcycle trailer is why I paid almost half the cost of my bike (on sale) for the best way to tow it. Knowing I wanted a ride-up model, I could have bought a Chinese Kendon imitation but decided I needed casters to more easily negotiate obstacles in my garage. I also read the letters Kendon wrote, infuriated by these “scumbags” skirting their patent. I tried to rationalize that many products I currently have in my home are probably Chinese knockoffs. In the end, I only came across one used USA Trailer Store (deceiving name, by the way) model and lots of very old Kendons. Maybe the Chinese models don’t stand the test of time. 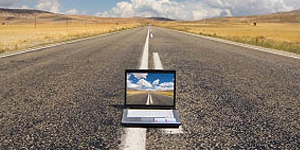 What’s Your Preferred Motorcycle Trailer? There are other great trailers on the market. Which ones have you used? What do you like about each and why? Your input is invited. Post an article!